If you are an elementary teacher, or looking to become one in the near future, it is always a good idea to get your hands on some great books about elementary education. Quality education books will help you become the best teacher you can be and will be very valuable to you as you create lesson plans for your students. Here are a few great books to help you get started in your journey as a teacher. Looking to improve your students’ writing? 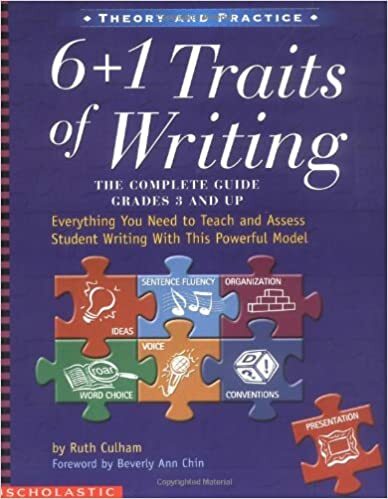 The 6+1 Traits of Writing guide assists teachers in developing a better teaching system for writing. It is based on the theory that children should learn how to assess their own writing and come up with the ideas and content on their own. The author, Ruth Culham, talks about 6-7 traits of writing to help children break down the elements of writing. For teachers, this is a great resource to improve comments to their students in order to make them helpful and constructive. Students can only improve their work if they know what they may be doing wrong or what would work better in the future. There are even some assessment charts and rubrics included for teachers to use when they are grading papers. Probably one of the most useful tools in this book are discussions for teaching each of the traits, lists of children’s books that incorporate each trait, and activity ideas for the students to learn each one. 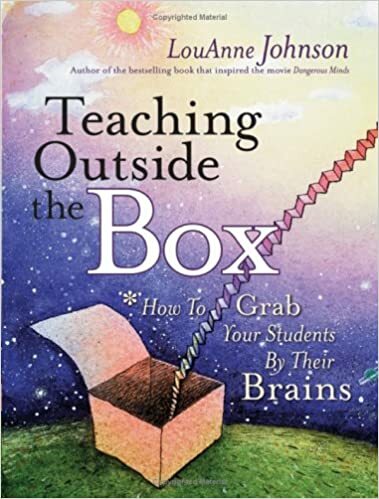 This book, Teaching Outside the Box, is perfect for both new teachers and experienced ones. There are lots of strategies for helping students to love learning and for teachers to enjoy the process of teaching as well. In this book, you will find handouts, advice, checklists, and plans to make your school year successful. If you are having trouble motivating your students to behave, read, or participate in the learning process, this book will help you develop new ways to turn these things around. 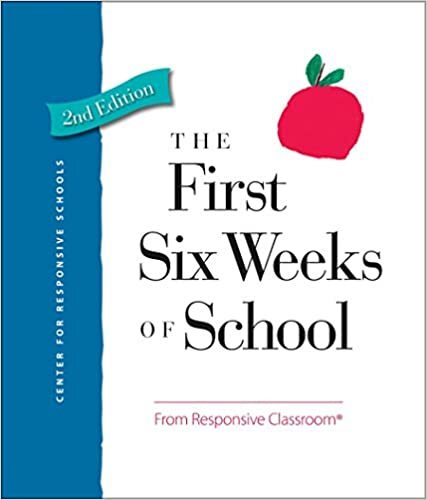 Another great thing about this book is that it covers just about everything from setting up your classroom at the start of the school year, to managing it as the year moves along. One of the most important things to take away from this book is that you should always have a plan and stick to the systems you put into place. This will help the students to know what they can expect from you, as the teacher, and what the consequences may be if they break the rules. 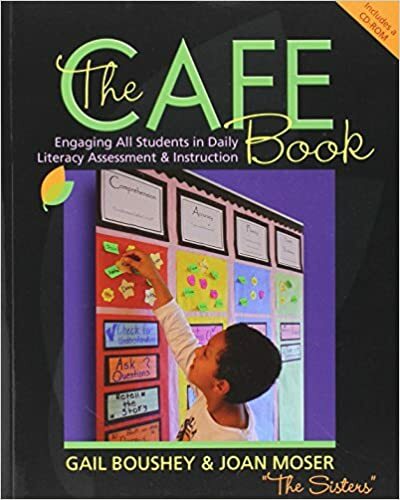 The Café Book offers a great system for teachers to integrate into their classroom that will help children become more self-reflective and independent in their school work. CAFÉ stands for Comprehension, Accuracy, Fluency, and Expanding vocabulary. This acronym helps students set goals for their work and ultimately improve in their reading skills and comprehension. To do this, students’ goals and strengths are kept track of by the teacher, and groups are created so that the students can help one another with specific strategies. The system is all about creating an environment that allows the children to be actively involved in reading and improving. It is very flexible so that teachers can fit the system to suit their own needs in their classroom without having to completely change their current approach. Teachers will learn how to have one-on-one conferences with their students to give each one the attention they need to succeed in their reading goals. The book even provides examples of these conferences so that teachers have an idea of what they should say and how the meeting should flow. If you want to have a productive year, The First Six Weeks of School teaches educators how they can lay a foundation of structure to make learning successful for their students. A foundation that is set within the first few weeks of school will increase student cooperation, motivation, self-control, and responsibility. The book has strategies and ideas for teachers to help them create a routine in their classroom and keep a schedule day to day so that everything is organized. In order to have a successful year, students need to know what the teacher’s expectations are and how their school day will go. They also need to be aware that you are in charge, but that they are in a safe environment where they can talk to you when they need help. To make it easy, the book is split up by grade level so that teachers don’t have to read parts of the book that may not apply to their students’ age group. As a teacher, it is sometimes difficult to develop good communication with the parents of your students. This book, Working With Parents, provides tips for building this communication with parents about their children. Although it is a fairly short read, the suggestions and tips are great for helping a teacher get parents involved in the learning of their child, no matter what type of parent they may be. 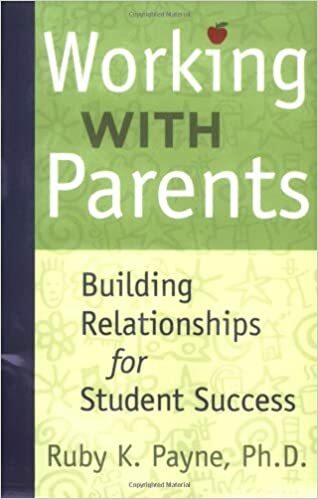 It gives a great overview of how different types of parenting styles affect how the school is able to interact with the parents. 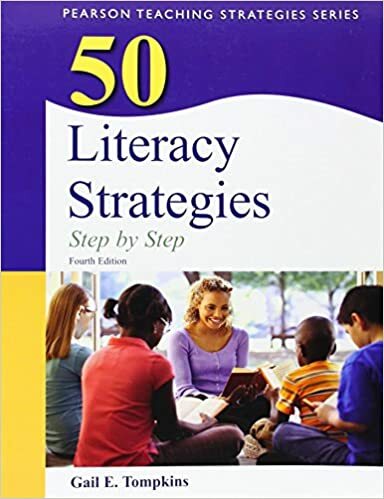 For helping students develop literacy skills, this book provides strategies that teachers can use which have been tested in the classroom and thoroughly researched. It provides an easy format for implementing the strategies into the curriculum, and step-by-step instructions to use them. Especially if you are just beginning your teaching career, this is the perfect book for tips on making your lessons more engaging for students.